When we first saw the latest Far-Eastern tech-based attempt to stop under-age smoking we rashly branded its chances of success as slim. That was giving it too much credit. 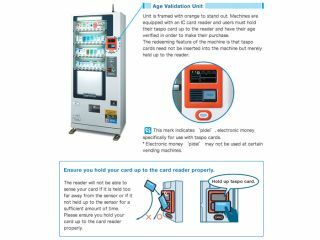 The Child Check System from vending-machine specialist Fujitaka appeared in 4,000 Japanese cigarette machines earlier this month and it has already been compromised by nothing more sophisticated than a page ripped from a magazine. Fujitaka's system is supposed to use face-recognition software to determine who should be allowed to buy cigarettes. However, as an intrepid reporter discovered, it's easily satisfied with a printed photo of a person who appears old enough. D'oh. While the venture is being rolled out in response to criticism aimed at the equally misguided RFID-based taspo system we've discussed many times, it clearly has its work cut out. The vendor has responded by saying it's working on an update to distinguish real people from two-dimensional images, but we're still revising that forecast from 'slim' to 'snowball's chance in hell'.